Locksmiths are licensed service providers that not only help you in situations of lockouts but also advice and assist you to install, upgrade and upkeep your security systems to avoid unwanted trespassers. An established Liverpool locksmith undertakes a wide spectrum of locksmith services. Depending upon the requirements, the category and potency of the services vary. Residential Locksmith Services: Installing locks and security gadgets in residential properties is a primary service that a locksmith in Crosby offers. From the basic fixtures to technically advanced and latest editions; a residential locksmith is equipped to handle all. Installation, repair, change or upgrade; an established locksmith will help you with all. Commercial Locksmith Services: Cash, important documents, stock, supplies and utilities, an office space may have all. Up-keeping security level of commercial establishments is therefore important. Besides the standard requirement of lock and keys, a reputed Liverpool locksmith may help you with alarm system, CCTV fixtures, remote security sensors, surveillance cameras and safe locks. From helping you pick up the most apt gadget to assisting you install and upgrade, you’ll enjoy all services under one roof. Automobile Locksmith Services: Lost car keys, locking the keys inside the cars, broken or damaged key; these are just a few situations wherein an established locksmith in Altrincham might come to your rescue. A locksmith offering automobile locksmith services in Altrincham will be equipped with latest auto locksmith tools to provide automobile opening services and making of duplicate car keys. Their services will surely get you back on road instantly. Emergency Locksmith Services: In addition to the routine inspection and installation services, an established locksmith will also render services in emergency situations. A fully equipped mobile vehicle is always on standby 24/7 and answers to emergency lockout calls. Depending upon your location, you’ll enjoy the finest services at the earliest. Whether you are a home owner, business operator, car owner, or somebody who’s urgently in need of reliable and reputed locksmith services, our services at Safe Lock Solutions are amongst the top-rated ones in Liverpool. Get in touch with us at 0151 515 0123 to avail our prompt and quick locksmith support. Emergencies don’t strike by the clock. In the dead dark night or in the middle of a bustling street, just at the turn of your office or home or far away in an unfamiliar territory; your vehicle can give-way at any time. Misplaced car keys, troubling engine ignition and jammed and stuck locks; glitch of any kind can fuel frustration and stress. 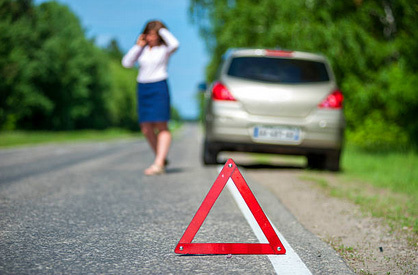 But a team of skilled and specialised personnel can provide immediate relief to the distressed motorists. A reliable locksmith in Crosby, Bedford and Liverpool region will not only provide immediate roadside assistance but also assure that you get you back on the road promptly. 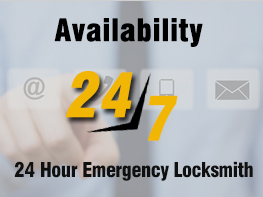 On-Call 24/7 – Well-established and trusted locksmith service providers have a fully equipped control centre. Round-the-clock customer support centre registers the call and flags-off their crew your way immediately anywhere, any time. Required Wherewithal – The locksmith service provider should have the required tools and gadgets to undertake each kind of job. It is important that they have a dedicated vehicle outfitted with the tools and locks. In case, the lock cannot be corrected it should be replaced immediately to cut hassles. If you too are stranded in the middle of nowhere, call the experts. At Safe Lock Solutions, we are driven by high ethos and observe the highest standards of proficiency and commitment. We are available 24/7 and are staffed with dependable and certified engineers. Our fully equipped vehicles and fast turn-around-time makes us the most sought after locksmith in Altrincham. Our locksmith solutions are also available in Dalton, Bickershaw, Crosby and other suburbs in UK. Give us a call at 0151 515 0123 for prompt and quick locksmith support. Security is of paramount importance. Whether it’s a new construction or an old set-up, security upgrades play an important role in keeping the home and business establishments safe and well protected. Exterior doors should have a professional grade deadbolt lock. While installing a deadbolt ensure that the door jamb is well supported with wood and long screws. These are usually the weak links and give way when the door is pried or kicked in. Place dowels in the frames of glass sliding doors. Also known as the ‘Charlie Bars’, these dowels prevent the glass doors from opening. Ensure that your locks are fully functional. Jammed or stuck locks and compromised keys confer less than optimum security. 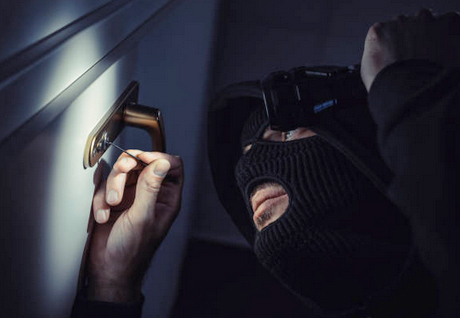 Install burglary alarm system, CCTV or surveillance cameras at the main doors. Close curtains and blinds during dusk hours to prevent passersby from peeping inside. Alternately, consider using black window films that hinder visibility. Carefully lock windows and sidebars. Lock windows properly even if you are leaving home for a short while. Replace jammed or stuck dowels and thumb turn window locks with effective and efficient lock mechanism. Consider using unbreakable glass for exterior windows. Undertake periodical inspections and evaluations and replace damaged or broken glasses at the earliest. Keep your spare keys at a safe area in a well protected armored box. Ensure that the box has a number lock with its code known only to a trusted few. Never leave your keys unattended. When going out shopping, socializing, or visiting friends and family, lock your property properly and handle your keys carefully thereafter. Given the fast rising theft, burglary and crime rates, enlisting services of a professional locksmith in Bamfurlong and Dallam is a prudent call. 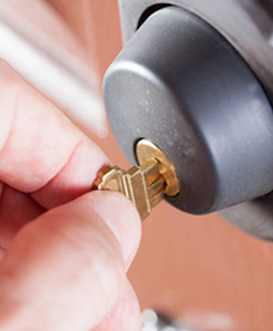 At Safe Lock Solutions, we are a trusted and renowned locksmith in Liverpool region. Our foolproof security assistance is also available in Caldy, Bickershaw and other surrounding suburbs. If you too want to enjoy the most efficient, timely and easy-on-pocket locksmith services, simply call us on 0151 515 0123. Whether you live in a relatively safe locality or a community vulnerable to thefts and robberies, it pays to upkeep the safety and security of your home and office spaces. Lock, Check and Recheck: On leaving your property, be sure you lock all the doors and windows. Front yard, backyard, slip-ins, garage doors; lock all. And ensure that you check and recheck all locks before leaving. Install Proper Alarm Systems: Having proper home alarm systems in place can surely avoid serious burglaries. Thoroughly checked and tested locks and security gear bestow high levels of protection. Construct the ‘live-in’ look: When heading for a holiday take steps to create a ‘live-in’ look for your home and office. Ask a trusted person to pick mail and newspapers, mow your garden, etc. By doing this you’ll create an image that you are still indoors, deterring thieves. No Social Media: Do not put up your travel plans on social networking websites. Though it is the in-trend thing to do, it gives adequate information to robbers too. Keep hedges and bushes trimmed: Big and bushy trees and hedges provide adequate cover, making it easier for robbers and thieves to access your property without a neighbor seeing. Keep them prim and proper. Keep your tools safely: Ladders, saws, axes, wire cutters, hammers – the list of tools you own can get endless. While you’ve purchased these tools for your own convenience, do not let them act as support gear for robbers. Once used, store them safely within your home. Leaving them in backyards or gardens may excite passersby and habitual thieves alike. You’ll obviously not want them to use your tools to break into your home. Whether it’s taking preventive measures to avoid potential breakthroughs or to get back on track after a damaging infiltration, seeking professional help from trained and trusted locksmith in Caldy can help you tackle all. At Safe Lock Solutions, we are the most trusted locksmith in Bamfurlong. Our locksmith facilities are also available in Liverpool, Dallam, Bickershaw, Bootle, Crosby and other suburbs in UK. Give us a call at 0151-515-0123, and we’ll ensure help you make your property theft-proof. Who said emergencies strike at the right time? 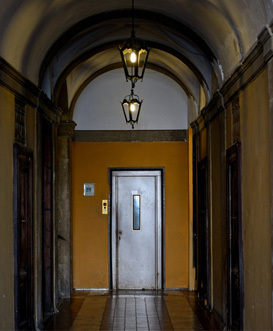 Middle of the night, or just before an important office meeting, on a shocking dead street or just at the home doorway; emergencies can occur anytime and anywhere. Missing car keys, troubling engine ignition, stuck and jammed locks that fail to give way; every security glitch leaves us frustrated and stressed. Though a professional locksmith can help sort all such problems, a timely support to reach and rescue is all that matters. After all, with each passing moment the trouble and stress gets unbearable. If you are badly stuck and are hunting for a locksmith in Clock Face, make sure that you get in touch with the right person who can render services right at your doorstep. 24/7 Support: If you’re locked out of your car, home or office, instant support is what you’ll be looking for. A locksmith who can be called upon at any time is of paramount importance in case of emergencies and accidents. Mobile locksmiths are equipped and trained to do just that! Comprehensive Services: Be it residential or commercial set-ups or security glitches in automobiles, a mobile locksmith offers comprehensive solutions for lockout situations as well as routine upkeep and over hauling of security systems. A Professional, Fully Equipped Vehicle: Mobile locksmith is one of the most sought after features for locksmith services. The sight of a service van or truck that is well equipped with the latest tools and technological gear gives an instant sense of relief. Reliable and Trusted: When it comes to the safety and security of home, workplace and vehicles, there is no room for error. A reliable and trusted locksmith will not only help you come out of the trouble, but also leave a positive impression. Courteous and Polite Workforce: Locksmith services are more than just precision and execution of job. A courteous and polite workforce ensures an unhindered conversation with a scared customer which goes a long way in developing mutually beneficial relationships. At Safe Lock Solutions, we practice and showcase the highest standards of proficiency and commitment. Our 24/7 availability, dependable and certified engineers and fully equipped vehicles make us the most preferred mobile locksmith in Liverpool. Our mobile locksmith solutions are also available in Anfield, Clock Face, Blundellsands, Chapel House, Bowring Park and other suburbs in UK. Give us a call at 0151-515-0123 for prompt and quick locksmith support. Holidays are a time to relax and rejuvenate. It’s the time to travel, party and enjoy. With friends and family getting together to enjoy some cherished moments, you’ll certainly not want to come back to a ransacked home. As a lion’s share of burglaries is carried out by opportunistic thieves, holidays give them the perfect time to be on the lookout. So if you too are heading off on your much awaited vacation, ensure that your home is safe and well protected from unwanted intruders. Inspect and Assess Your Locking System: Your locking system should be effective and worthy. Before leaving check the status and effectiveness of your locks. If they are flimsy and worn-out, go in for an upgrade and installation of a robust security system. Install High-Quality Lock Gear: High quality locking system comes across as a comprehensive package. From lock and key devices to technically advanced keyless locks, security camera and alarm systems, ensure everything is in place. Pack the Duplicate Keys Carefully: If you are planning to hide your duplicate keys in your backyard or front lawn; we strictly recommend against it. Instead you should pack and keep them safely. In case you happen to lose your master key, call in a locksmith expert to help you in. Don’t Broadcast Your Plans: Your vacation plans, your departure and arrival date, all should be a hush-hush affair. Barring a trusted few, do not discuss your plans with others. Also, if you are too much into social networking, put up pictures and videos only once you are back from the vacation. Check Doors and Windows Too: On the D-Day, don’t just lock and main door, check windows too. Check all possible entry points to your house and lock them properly. Install an Alarm System: Installing an alarm system can be a great idea. In an attempt of a breakthrough, the ringing alarms will make the neighbors and passersby cautious, preventing a probable theft. When it comes to upgrading your security system and keeping your home safe, a proficient and expert locksmith can provide you tips and suggestions to help protect and safeguard your home. At Safe Lock Solutions, we are the finest and the most trusted locksmith in Liverpool. Our locksmith operations extend in Altrincham, Allerton, Birkenhead, Crosby and other suburbs in UK. Give us a call at 0151-515-0123, and we’ll ensure that you are vacation ready!